This turtle valance was fun to make. I was inspired by a photo on Pinterest. 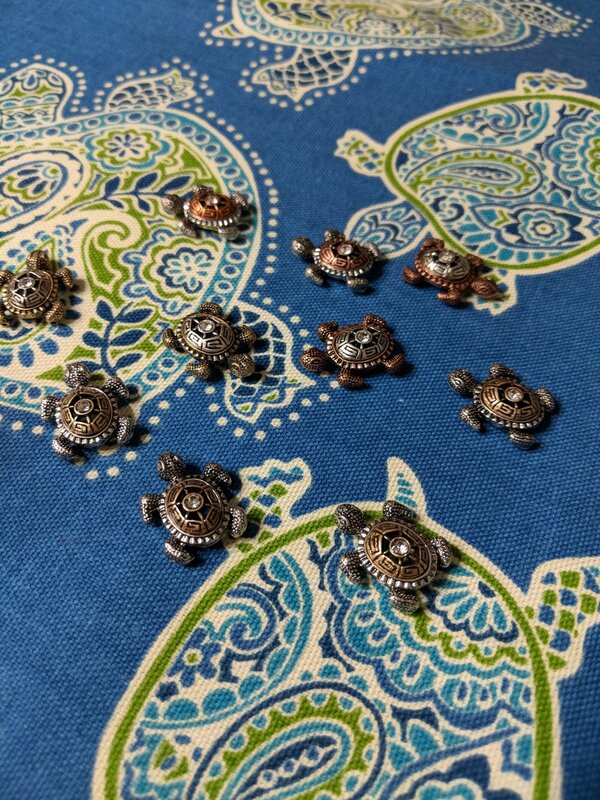 The turtle buttons are jewelry sliders from this Etsy shop. The fabric was from Fabric.com. 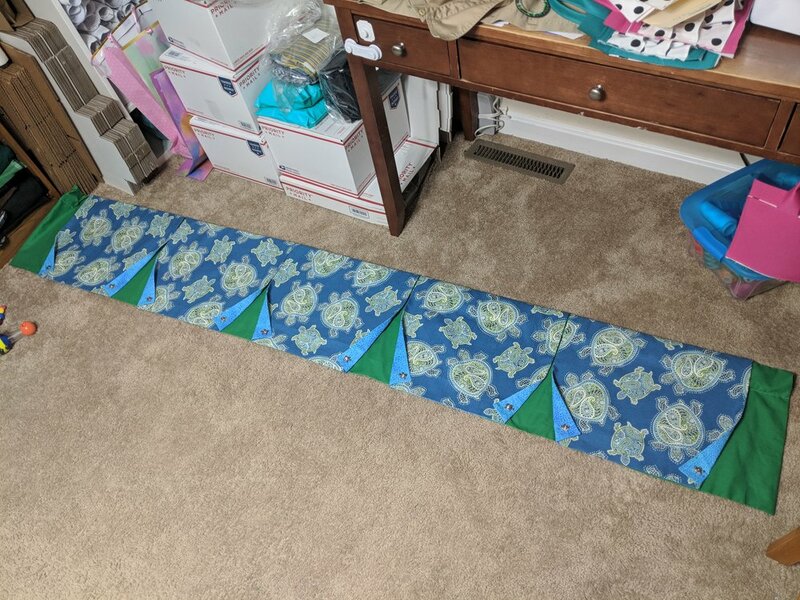 I used broadcloth from the fabric store for the back, but I wish I had used some heavier weight fabric because when I was done, the front kept dragging forward and I had to hand tack it to the back. I don't have pictures of it up yet because my husband hasn't installed it, but I'm sure it will be cute. I took a good look at my short sleeved wardrobe and I realized a couple of things. 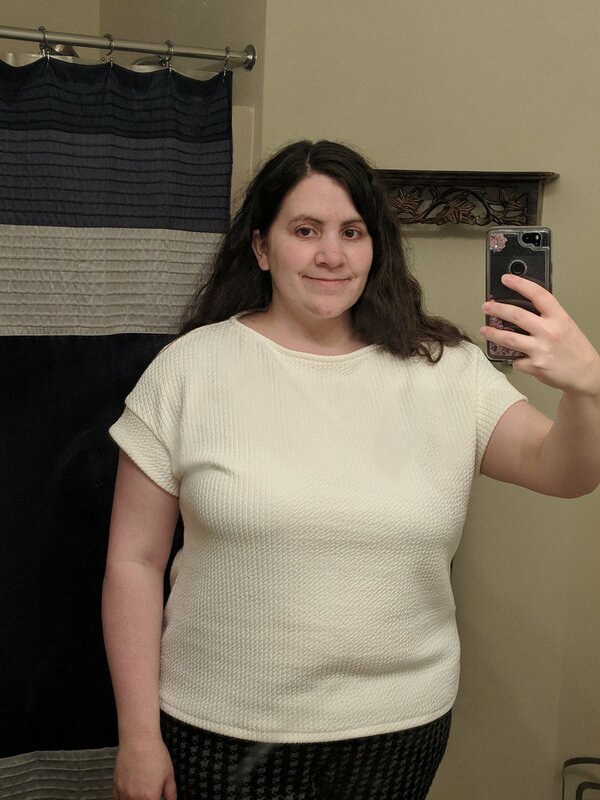 One, almost all my tops were too small or short now because of nursing, plus I'm still a size larger than pre-pregnancy. Two, I have a bunch of cardigans but they didn't match my clothes. So I went shopping for fabric and planned with a purpose. I picked out fabric for four new cardigans, and then fabric for about nine or so tops. I made sure that each fabric matched a cardigan. 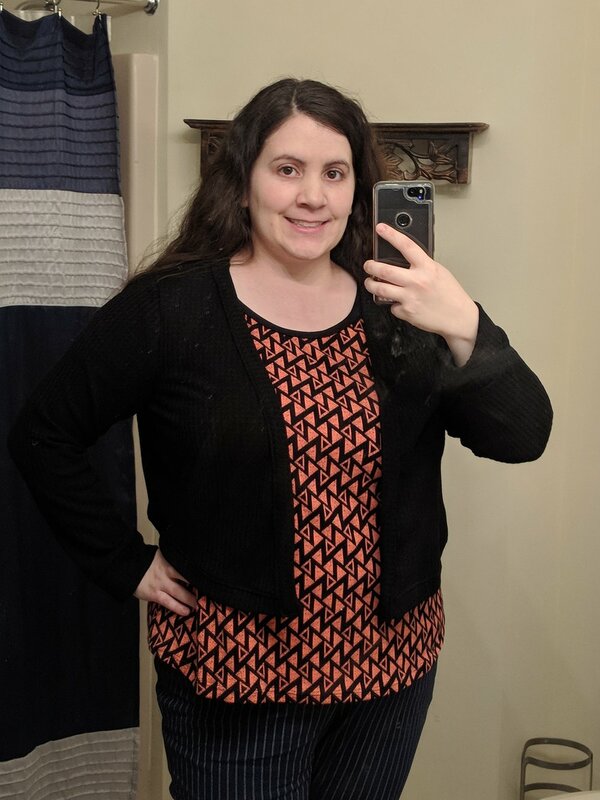 Since Spring has been slow to come to Delaware, I've been very grateful for those cardigans! 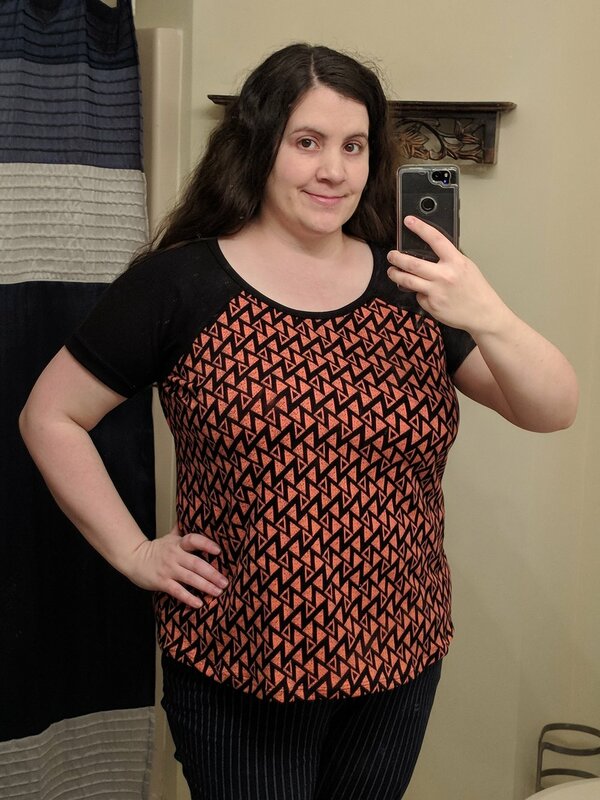 I tried several new top patterns as well. I really like most of my new tops but sadly there were a couple duds. Row 1: The free Uvita top by Itch to Stitch, but with bands instead of long sleeves. I picked poor fabrics all around for this top. The only one I like is the blue one. Row 2: The Hey June Lane Raglan. The first one was cut normally according to my measurements, but it clung to my midsection and I knew I wouldn't ever want to wear it. It was beautiful soft double brushed poly (my first time using that fabric!) and I didn't want to waste it on a top I wouldn't ever wear, so I inserted some triangles on the side to make it into a swing style top. Then I purposely cut the rose top to be a swing style and I love that one the best. For the triangle top I just graded out extra on the waist and hips and was very happy with how it skims things. Row 3: First is the discontinued Flora Top from Stitch Upon a Time. The back has a faux button placket. Second is the Pemberley Tunic from Love Notions. 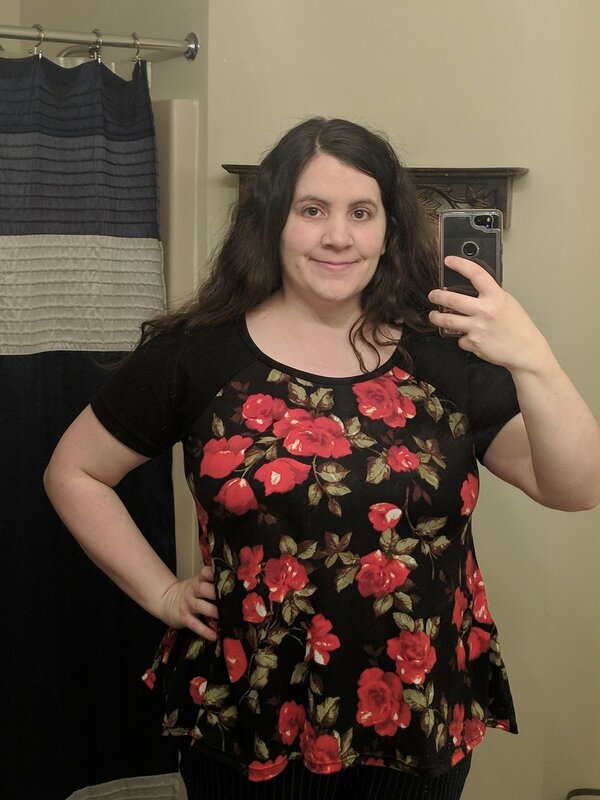 This one is cute, though the neckline is lower than I like. My fabric ended up having not very much stretch (a problem with several of the fabrics I bought), but I made it work. I also did a deep bust adjustment, otherwise this never would have fit. I'm grateful I can measure and eyeball and generally make most of my fit adjustments to the pattern pieces and then end up with clothes that fit! Last in the row is a white Circle Cardigan by Rebecca Page Patterns. Row 4: The coral one is also that same pattern. The coral fabric is super heavy and a loose weave so I used clear elastic in the seams, but it still drags down the shoulders. After the white one I made a couple adjustments to have it fit better there. I'll have to try it out with a less heavy fabric next time. Next is the Wembley cardigan from Seamwork Designs. I have a lot of Seamwork patterns but haven't made many of them. I noticed some poor fitting on the model and some bloggers had trouble with it, but it turned out great on me with my normal alterations. Last is the Canyon Cardigan from Love Notions. This turned out great too. Overall I like my new spring/summer wardrobe! I have some more tops in mind but the urgency is gone now that I have more choices each morning. 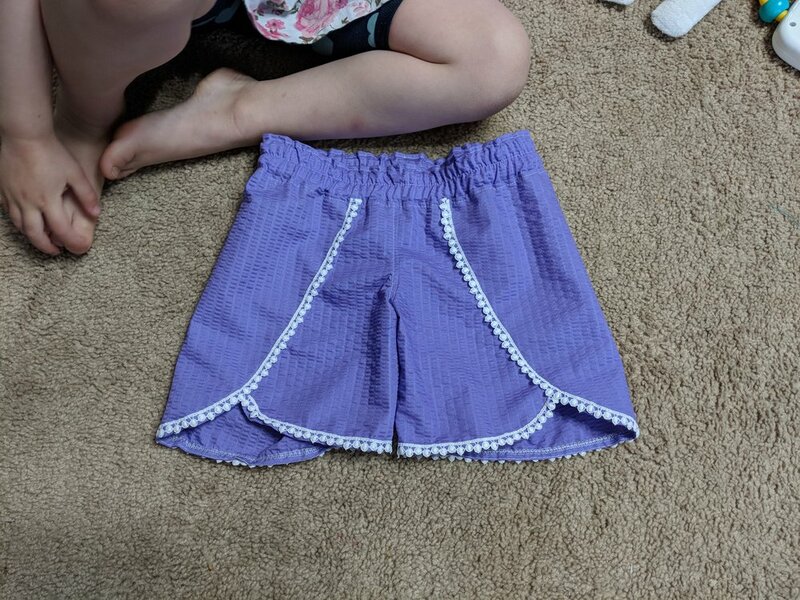 Next, I went on a shorts-making spree for my girls. They each have just a few pairs that fit and they are mostly tight and stained. So I made these from my scraps and just bought a couple yards of fabric to supplement my scraps. First I made a bunch of Portlander Shorts from New Horizons Designs. I made these all from scraps. The ones without pockets are for pajamas, and the ones with pockets are for day wear. I added one inch in length to the pjs and two inches to the daytime ones. For some I just added a two-inch cuff instead of lengthening the pattern. These are the easiest shorts to make and I love seeing my scraps get used. Next I made the Coachella Shorts by Striped Swallow Designs. Now these are short shorts, so I added several inches. I love the trim. 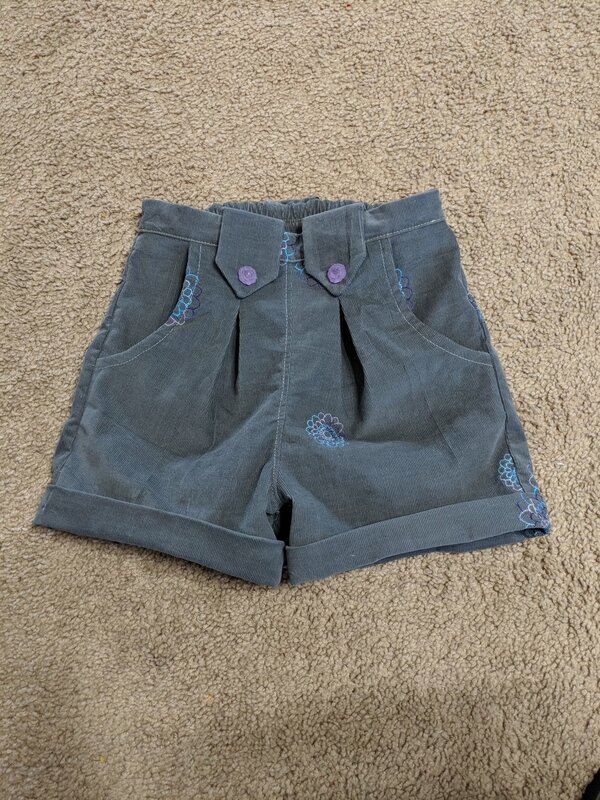 After that I made each girl a couple pairs of Clover Shorts by Mouse House Creations. These ended up okay. I made them a little longer, but now they just look baggy, especially on my oldest. Finally, I made them each a pair of Honeybuns bermuda shorts from Pattern Emporium. This is a really cute pattern with lots of options. I feel so much better about the start of warm weather now! My son is doing better than his sisters for shorts, but I do have a couple pairs planned for him too. My baby really needed some pants, so I found a couple patterns by Puperita, the Jungle Pants and Jumpy Romper. These ended up really cute, and I made them a little big so he can also wear them in the fall. The other big project from this month took 2.5 weeks because we had to work around schedules and work and lighting. We painted my girls' bedroom! My son's has been painted few several months, but the plan for the girls was much more complicated. I came up with the idea after looking at Pinterest and consulting with my daughters. All the rooms in our house are painted a yellowish cream. It's great for reflecting light, but it definitely gets tiring having everything the same. My girls wanted a pink and purple room, but I wasn't willing to do entirely pink and purple, so we also included gray. I really love the final result. They each get their favorite color on the long wall and short wall above their beds, and then the window wall and opposite wall not pictures are both gray. We used vinyl gold and silver dots for my youngest's side. Next I need to replace the gross blinds and make them some long flowy curtains! I've got some projects on my sewing table to work on next. A few more tops for me, bathing suits for my kids, and a new diaper bag for myself.